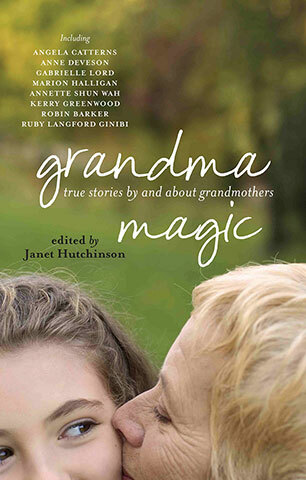 A book about, by and for grandmothers - and for the people who love them. Grandma, Nanna, Granny, Gran, Baba, Yia Yia, Nonna, Nainai, Laol . Welcome to Grandma Magic: stories told by and about grandmothers - grandmothers youthful and elderly, playful and strict, joyful, sorry and stern, exotic, ordinary. Stories filled with wonder and love and the mystery of being - and having - a grandmother. Stories told by grandmothers themselves, by mothers who become grandmothers, and by the children and grandchildren who love them and share their love. These twenty tales speak of unconditional affection, joy and laughter; of mistakes redeemed, of family secrets and patterns stamped on generations, shame and hardship, memory and loss. They take you into realms both familiar and unknown, on a voyage around many grandmothers that is rich, engaging and irresistible. Janet Hutchinson is a Sydney-based writer, editor and manuscript consultant who has been working in book publishing on a freelance basis for some 18 years. Last year, with the assistance of Northern Territory Arts funding, she compiled and edited an anthology of writing from Central Australia (The Milk in the Sky, Ptilotus Press, Alice Springs, 2006). This brought together the work of some 25 authors, Indigenous and non-Indigenous, of both genders and of diverse ages, some of whom are well known, along with a good number of others whose work had previously been unpublished. Janet taught creative writing for many years (until 2002), in both tertiary and community settings, but mostly at the University of Technology, Sydney. Her own creative work has been published in various magazines, journals and anthologies over the years and is collected in Desire and Other Domestic Problems.